In this article, we’ll take a look at the EF Core Database-First approach. In this approach, we create our database first. We then model our entities. This approach is useful when we work with an existing database. This is also useful when we migrate from existing applications. A relational database deals with related data. 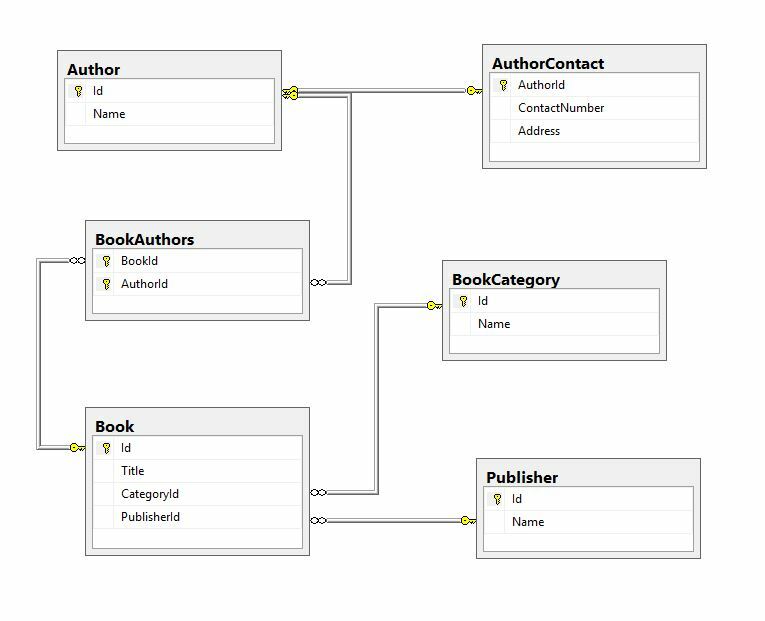 So, we’ll also take a look at different types of relationships in the database and how we can represent those while modeling our entities. One-to-One – A row in Table A can have only one matching row in Table B, and vice versa. One-to-Many (or Many-to-One) – A row in Table A can have many matching rows in table B, but a row in table B can have only one matching row in Table A.
Many-to-Many– A row in Table A can have many matching rows in Table B, and vice versa. You can download the source code for this article, on the EF DB First Approach Source Code repo. As the first step, we are going to create the database and tables. So for example, let’s create a database to manage books. We are going to create tables for storing information about Books, Authors, Publishers etc. and establish relationships between them. This is the complete SQL script for creating database tables and relationships. Author– Stores the information about the authors. AuthorContact– Contains the contact information about the authors. Book– Stores the information about the books. Publisher– Keeps the information about the publishers. BookCategory– Keeps the master list of all the categories. BookAuthors– Represents the mapping between the books and the authors. Let’s take a look at how we implement the different types of relationships in our database design. In the above design, AuthorandAuthorContact have a 1:1 relationship between them. 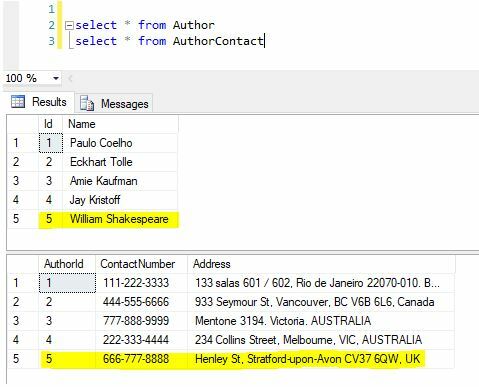 Each entry in theAuthor table has a corresponding entry in theAuthorContact table. They are related by theAuthorId foreign key. This type of relationship is not very common. We could also keep the author contact information in theAuthor table. But in certain scenarios, there could be some valid reasons to split out information into different tables like security, performance etc. In the above design, PublisherandBook have a 1:N relationship between them. A publisher can publish many books, but a book can have only one publisher. They are related by thePublisherId foreign key. This is the most common type of relationship in any database. In the above design, BookandAuthor have an M:N relationships between them. A book can have many authors and at the same time, an author can write many books. They are related by an intermediate tableBookAuthors. This is also called an associative or junction table. We can translate an M:N relationship to two 1:N relationships, but linked by an intermediary table. So, now we have our database tables with data. Let’s model our entities based on those. 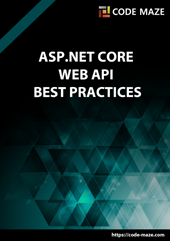 As a first step, let’s set up an ASP.NET Core Web API Project. 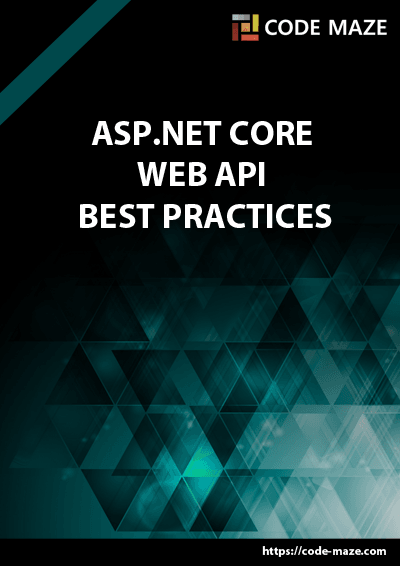 We have explained this in detail in one of our other articles: Creating and configuring a new ASP.NET Core Web API project. The article linked above covers a lot of additional topics. You may go through the entire article if you want to, but the section linked above is quite enough to follow along with this article. Following the article linked above, let’s create a new project calledEFCoreDatabaseFirstSample. Now it’s time to create the EF model based on our existing database. BookStoreContext is the DB context class and other classes are the models. Now, let’s look at how EF Core represents the relationships. Remember that theAuthor has a 1:1 relationship with theAuthorContact. To represent this we have anAuthorContactproperty in theAuthor class. This is called the Navigation Property. Remember that thePublisherhas a 1:N relationship with theBook. Here, the Publisher is called the Principal Entity and the Book is called Dependent Entity. Publisher.PublisherId is the Principal Key and Book.PublisherId is the Foreign Key. Publisher.Books is the Collection Navigation property. Book.Publisher is the Reference Navigation property. Note: As of now, EF Core does not support many-to-many relationships without using an entity class for representing the join table. However, we can represent it by using an entity class for the join table. We could then map two separate one-to-many relationships. We can see that both the Book and the Author has a collection navigation propertyBookAuthors. We have established the M:N relationship between theBook and the Author by these two 1:N relationships. Now that we have successfully created the models and context, let’s implement a simple data repository using the repository pattern. We have explained this pattern in detail in one of our other articles: Implementing the repository pattern. If you get stuck with the code, you can always refer to the mentioned article and to our source code for this article, as well. We will later inject this interface into our controller. 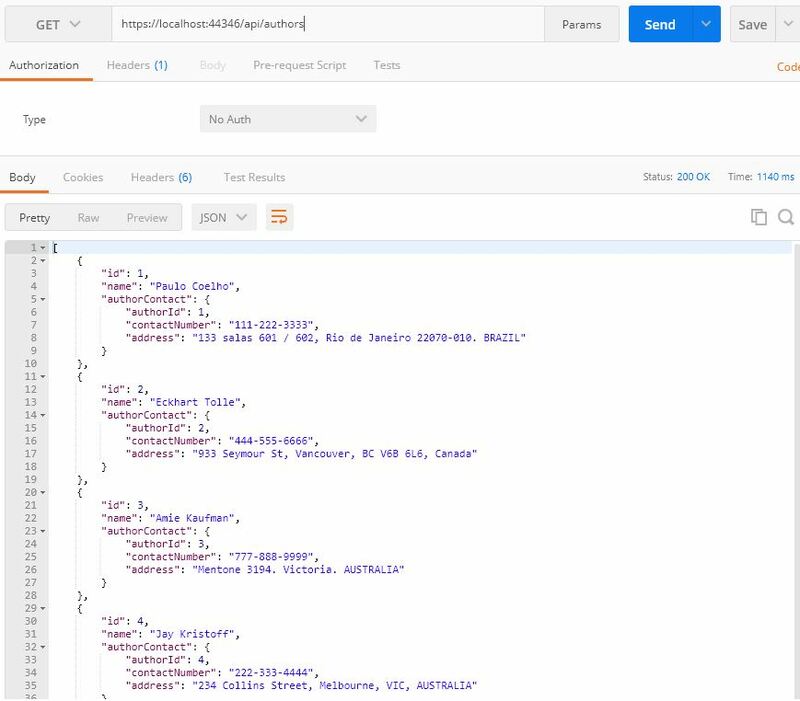 Then the API will communicate with the data context using this interface. Of course, we are going to register all the repo services in the Startup class, as you can find out by your self in our source code. Next, let’s create concrete classes that implement theIDataRepository interface. We’ll add a new folder under Models called DataManager. Let’s keep things simple and focus on implementing only the required functions. EF Core uses navigation properties in our model to load related entities. We use three common ORM patterns for loading related data. When we use eager loading, we load the related data from the database as part of the initial query. Explicit loading means that we load the related data explicitly from the database at a later time. Lazy loading is a way of loading the related data from the database when we access the navigation property. 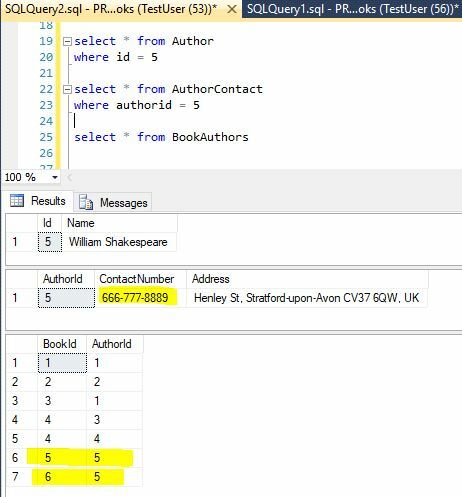 We can use theIncludemethod to specify related data that need to be included in the query results. In the following example, the Authors that are returned in the results will have their AuthorContacts property auto-populated. Let’s add a new class AuthorDataManager which implements theIDataRepository in the DataManager folder, and register it in the Startup class. The above code loads all the authors with their contact details at once since we are using eager loading. We shall verify this later when we test it. We can explicitly load a navigation property using the DbContext.Entry(). Let’s add a new class BookDataManager which implements the IDataRepository interface and register it in the Startup class as well. The above code is used to get the details of a Book. See how we are explicitly loading the list of BookAuthors and Publisher later. We’ll verify the explicit loading behavior later when we test this functionality. The simplest way to use lazy-loading is by installing the Microsoft.EntityFrameworkCore.Proxies package and enabling it with a call to UseLazyLoadingProxies. 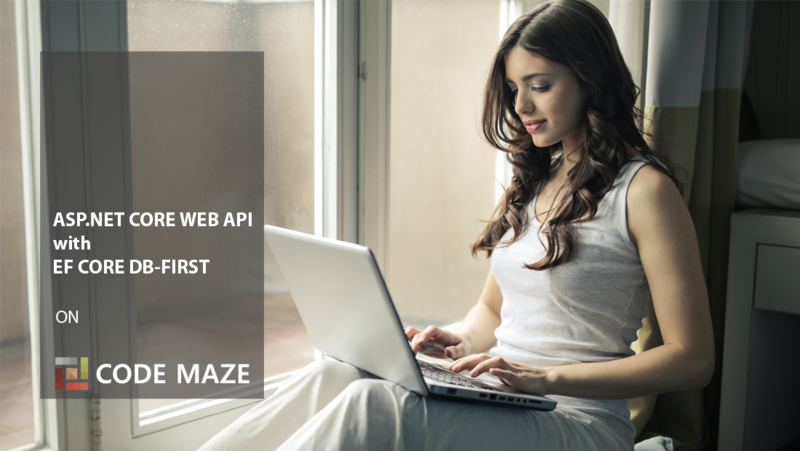 EF Core will then enable lazy loading for any navigation property that can be overridden. Only thing is that it must be virtual and on a class that can be inherited from. We’ll enable lazy-loading explicitly when we need to utilize it. In the code above, since we are using lazy loading, only the Author entity will be loaded initially. Later the AuthorContact property will be loaded only when we reference it inside the DTO mapper. We’ll verify this behavior later when we test this. Note: The referenced property can be lazy-loaded only inside the scope of the data context class. Once the context is out of scope, we will no longer have access to those. 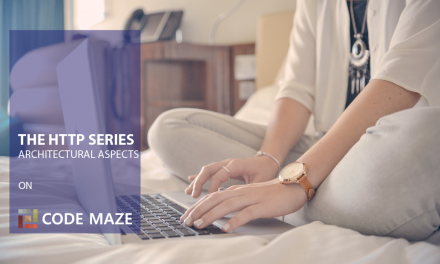 In this section, we’ll explain how we can Add, Update and Delete related entities. If we create several new related entities, adding one of them to the context will cause the others to be added too. For example, in the below code, let’s implement the Add() method in AuthorDataManager. The above code will cause the Author,AuthorContactand BookAuthors entities to be updated. We’ll verify this later when we test this. Delete operation can be tricky with related entities. There are three actions EF can take when a parent entity is deleted. We should configure the DeleteBehavior appropriately based on our application logic. In the below example, let’s say when a publisher is deleted, we need the publisher’s book also to be deleted. The above code will delete the Publisherand any related Book entities. We’ll verify this later when we test this functionality. Excellent. Now we can move on. Following the above article, let’s create the AuthorsController,BooksController and PublishersController class in the Controllers folder as shown below. For keeping things simple and focused, we’ll implement only those endpoints required to understand the concepts we discuss in this article. Now we’ll test the controller methods using Postman. We’ll also verify the results in the database. Later, we’ll inspect the actual SQL queries executed in the database using the SQL Server Profiler. Remember that we used explicit loading to implement this functionality. Here note that only those properties that we chose to load explicitly have data. Other related properties are empty. 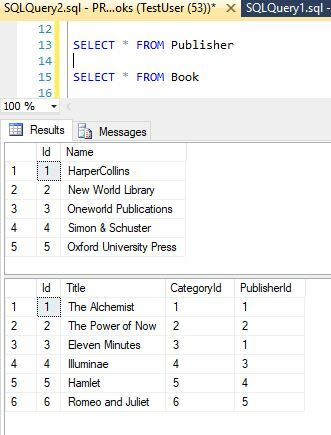 In the Profiler, we can see that initially, an SQL query fetches data from the Book table. Later, queries are generated to fetch data from other tables when we explicitly load data from other entities. Now let’s test the Update endpoint of Authors. Finally, let’s test the Delete endpoint of Publisher. Now let’s test the Delete endpoint. In the Profiler, we can see that the related data is first removed from theBook table. Then the publisher record is deleted from thePublisher table. Let’s verify the changes in the database. In this article, we have covered the following topics. EF Core Database-First approach and when to use it. Different types of relationships in a database. 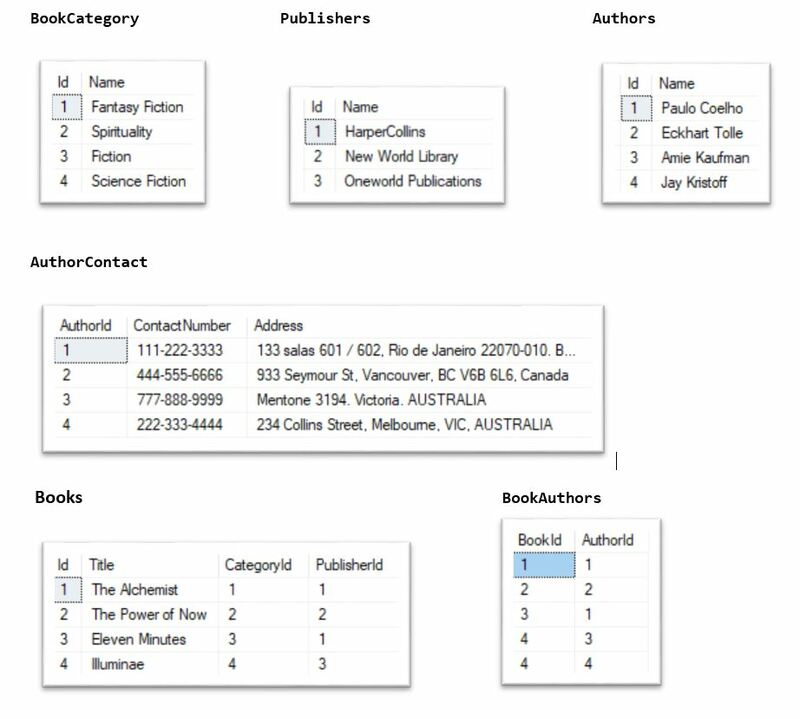 Creating a database and tables with relationships. Modeling the entities with relationships. Loading and saving related data using the repository pattern. Different patterns for loading related data. 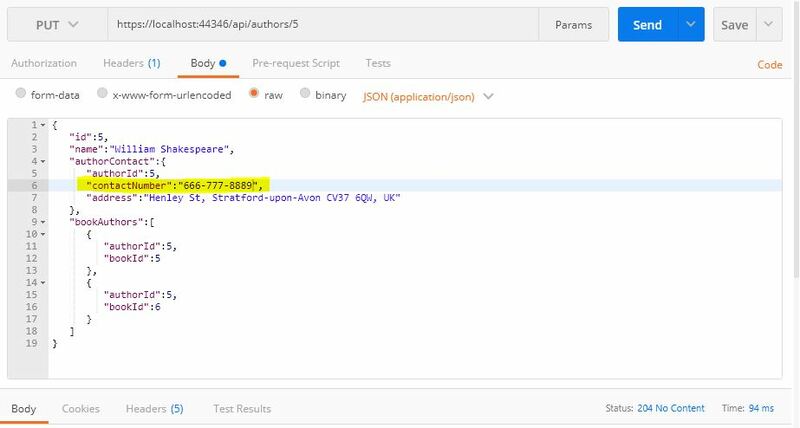 Creating API endpoints for operating on related data. Testing the endpoints and inspecting the generated database queries. Hope you enjoyed the article. Happy programming! Great article to start, thank you very much.I do have a couple comments. First, the Scaffold-DbContext has no option to make the classes singular, classes are named exactly as the table is named. Second thing is that there is no way ( that I know off) that, if adding a new table, to scaffold the table without loosing the existing table classes. A tool for database first to select tables and have a singular/plural option is overdue for EF core. 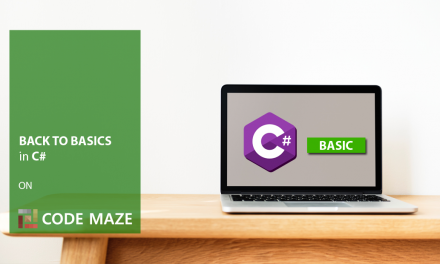 Yes, the solution is using the partial classes or create the additional layer of Entities for business logic to do not touch the generated models. DB first approach is not the best choice in real projects. Please pay attention on table names in deploy script and on DB name in connection string. Hello Alexander. Thank you for reading this article and for your suggestions. It is going to be fixed.